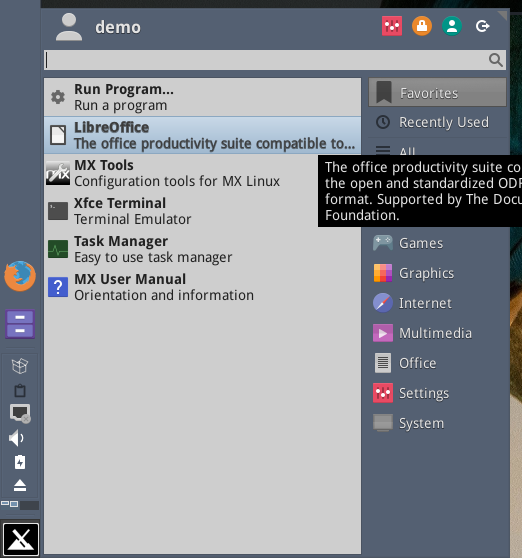 BTW: The graphical design of Xfce on MX 17 is excellent!! Could you post a screenshot so we can understand what you are referring to? Thanks. There is now an Alpha4, by the way. Thanks, skidoo. I don't remember this issue nor reading your post in the 16.1 testing thread. ...What led me to immediately visit "appearance }} Fonts" during first session was the "blurry" (onMouseover) text labels of items displayed within left pane of WhiskerMenu. Whelp, turns out antialiasing didn't fix the blur. 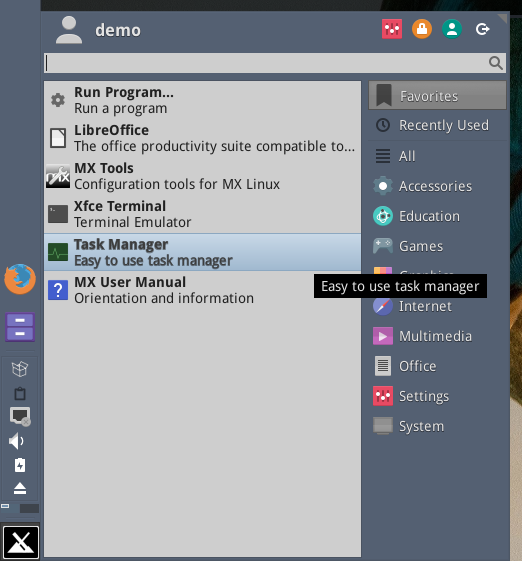 The blurriness is due to a quirk within a few of the pre-installed GTK themes (one of which happens to be the now "default" theme in RC). Your call ~~ Tweak those theme css files, or don't. Change default away from using a "quirked" theme, or don't. As is, IMO, the blurriness of bolded fonts represents an immediate distraction/aggravation. I don't know how to tweak css files beyond maybe changing text colour, but from your comments above, it would appear that the non-tweaked original Greybird worked properly in MX16.1? Did you try it? Is anyone able to check on this in MX17a3 or a4? Maybe install the unaltered Greybird from Debian Stretch if it's not already in the MX alpha. What exactly is the difference in the tweaked Greybird theme that would cause this? Because IIRC, the tweak was just to make the borders thicker and more "grabbable" for resizing, and the panel colour. I won't be able to test anything on my home computer for some time. I believe it is doing the same thing default in MX-17a4 like skidoo describes. It sort of "fuzzes" up the text and puts a drop shadow which helps less. Other than that, no gripes or issues using MX-17a4, except the default desktop wall paper now, the odd green/blue on is nice, but it kinda hurts the eyes a bit. I really like the night sky one with the giant MX logo though, very creative! Heehee. The green/purple one is coincidentally by skidoo. I really like its "neon Wimbledon" vibe. But yes, it's very bright. D_O is just using a different default background on every alpha for fun. No decision has been made yet on final choice for default. Could someone install the official Greybird to compare? Greybird-mx17 is the tweaked one. Well the green/purple background (sorry I am blue green colorblind a bit) (or I forgot what it looked like already since I closed that VM) by skidoo is a fine background... just not my thing. I don't think I've seen a bad user contributed wallpaper yet, pretty amazing work being done by everyone. SwampRabbit wrote: I believe it is doing the same thing default in MX-17a4 like skidoo describes. I see the slight "fuzzing" as well. I wonder if it has to do with the contrast of the light blue highlighting? I do not see the same with the xfce-4,6 theme that has a darker blue background. A guess on my part, not really understanding the science of visual acuity.